Open your ears, because we’ve got two earphones on the test bench today. 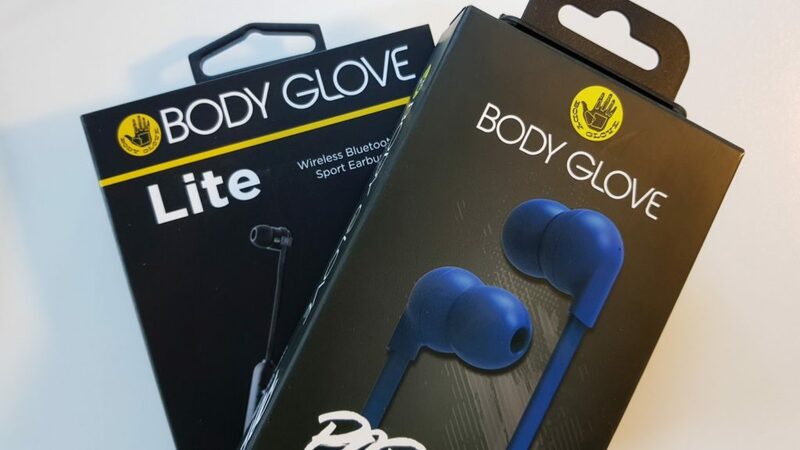 While one requires a headphone jack and the other a Bluetooth connection, both are from American accessories company Body Glove. A company probably better known for its mobile covers and cases also makes the Lite for active people, and the Pop for more fashion-conscious users. As its name would suggest, the Body Glove Lite Bluetooth earphones are practically weightless. They’re the airiest set of Bluetooth buds I’ve ever used, but that’s probably thanks to its cheap-as-chips build quality. Sketchy plastic houses the control module, on which sit large volume and pause/play buttons, and a microphone for calls. They’re enormous, so you won’t be hard pressed to find them either. No pun inten… you know what, I’ll just go with it. While this makes them perfect for gym, the outdoors, or in the kitchen, they’re not comfortable. The earbuds themselves have sharp plastic edges and itchy in-ear tips are also included. Said tips aren’t soft enough to fit and remain comfortably in the ear canal. And while Body Glove does bundle the Lite with two additional sets of tips, I just couldn’t get as clean a fit as I’d like. 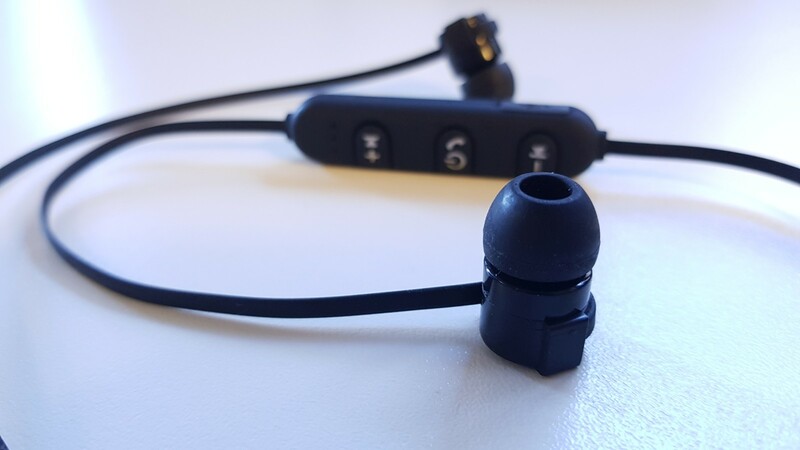 Snags aside though, the Body Glove Lite is comfortable around the neck, and also features novel little loops around the earphones that you can use to secure them to your body. Additionally, Bluetooth performance isn’t too bad either. 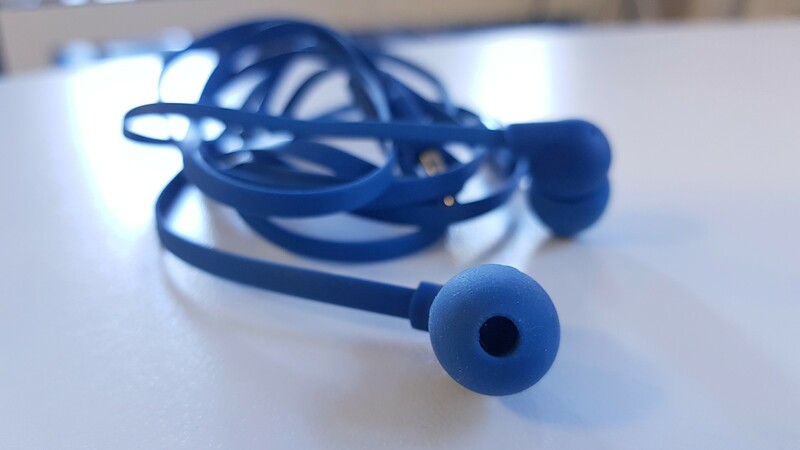 It can seemingly grab signal through a number of clothing layers, resulting in fewer audio dropouts than other earbuds I’ve reviewed. 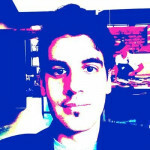 But they’re not perfect (however, this is Bluetooth’s fault, and not the earphones themselves). The sound quality isn’t either. Podcasts, calls and practically every genre of music feels muffled, smothered and cloudy. The higher frequencies aren’t crisp, while the mids are hidden beneath artificial, empty bass. While I don’t expect brilliant performance from a budget set of Bluetooth headphones, there are earphones in its price range that sound better. The Pop suffers from similar issues. Apart from the colours, there’s very little to like about the Body Glove Pop earphones. 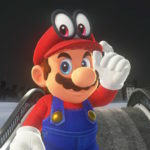 Within a few days, a loose connection pretty much ended by review by default. While gaming, listening to music or podcasts, twisting the cable resulted in audio breaks. I wasn’t able to determine where on the earphones’ cable the connection was severing either. Nevertheless, before they broke, the Pop left everything to be desired. The flat cable is relatively short, and challenging to roll into a tidy, organised bundle. So yes, prepare to spend a few moments each morning unravelling the mess you’ve made. Beyond storage practicality, the Pop provided a much better fit in my ear canal than the Lite, and the buds themselves never felt overweight or ungainly like its wireless cousin. They boast slightly sleeker earbud housings than the Lite. Where the Pop did fall short though is, again, audio quality. While gaming with them is passable — that is, if you’re playing something that doesn’t require audio much — they struggled with music. Sonically varied tracks like Tinashe’s “2 On”, or a slow vocal track like John Mayer’s “Victoria” sound awful. Sound reproduction is dismal, to say the least. Granted, these earphones are in the R100 range, but they’re somewhat worse than the standard headphones bundled with budget smartphones. The bass is tinny, the mids are practically nonexistent while the highs are huffy and uninspiring. What the Body Glove Pop is good for is a second pair of earphones when you’ve forgotten your first choice at home. If listening to music is your catharsis at the end of a long week, spend just a little bit more cash on a pair of earphones that will actually reward you your ears. While the Body Glove Lite is great for an active lifestyle, they only really suffice as a secondary pair left in a gym bag. This also remains true for the Pop. Your kids will absolutely love its colourful design, but your ears won’t be too impressed.